I’ll never forget the day my mom gifted me with the novel If I Just Had Two Wings. It told the story of 13-year-old Phoebe plotting to escape her life of slavery. In the book, Phoebe has a recurring dream that she grows a pair of wings and loses all memory of being born a slave. She too was a young black girl who dreamed of living outside of the codes, hierarchies, and expectations that a white society had dictated to her. I was jarred by her comment. In reading as vociferously as I did, I found other young black girls like me who had to overcome challenges and situations that sought to limit them. I read stories about how black girls used reading as a path to freedom or as a way to create better lives for themselves. In Carole Fenner’s Yolanda’s Genius, I found a fellow black girl bookworm who used her academic excellence to ensure her brother had better opportunities. In the classic young adult novel Roll of Thunder Hear My Cry, written by Mildred D. Taylor, I read about black children who had limited access to books but the tenacity to fight for equal access to education during segregation. As one of the few black students in my mostly white private school, I found myself coded by an unspoken set of rules. Color was not just a way to describe your skin tone. It was a set of behaviors, mannerisms, and expectations that allowed people to categorize you without getting to know you. It’s the reason people often assumed I could dance well, or complimented me on being well-spoken. It explains why my peers often insisted that writing rap lyrics should be a hobby of mine or that I might be able to sing Gospel music well if I tried. When people said that I “acted white,” they were reinforcing a cultural standard that has disenfranchised black people for years. They were promoting a form of gatekeeping that has historically prevented communities of color from accessing positions of power and seeing themselves represented in various aspects of culture. For the longest time my classmates’ comments remained buried in my mind. Did this many people associate the color of my skin with a lack of intellect? I thought about how I often saw black women depicted in culture and on screen. Sometimes they acted as background props in rappers’ videos, scantily clad and shaking their booties hard, or they appeared as the best friend-sidekick hybrid available to help a white heroine achieve her dreams. Other times, they wandered in and out of the foreground as maids or hired help. Recently, there’s been a greater effort to include diverse stories in books and on screen. Before this effort, depictions of people of color in our culture were often limited to reductive stereotypes—a unique kind of exclusion that affects the day-to-day lives of people of color. These stereotypes are internalized as truth, which perpetuates discrimination that can lead to people of color being unable to access the resources necessary for creating a better life. My classmates’ ability to understand me was limited to the stereotypical images of black women that permeate our culture. The message communicated to me was that I could not be worthy of intellectual pursuit; rather, my role was to entertain in ways that were seen as acceptable for a black girl: singing, rapping, and dancing. Performing. 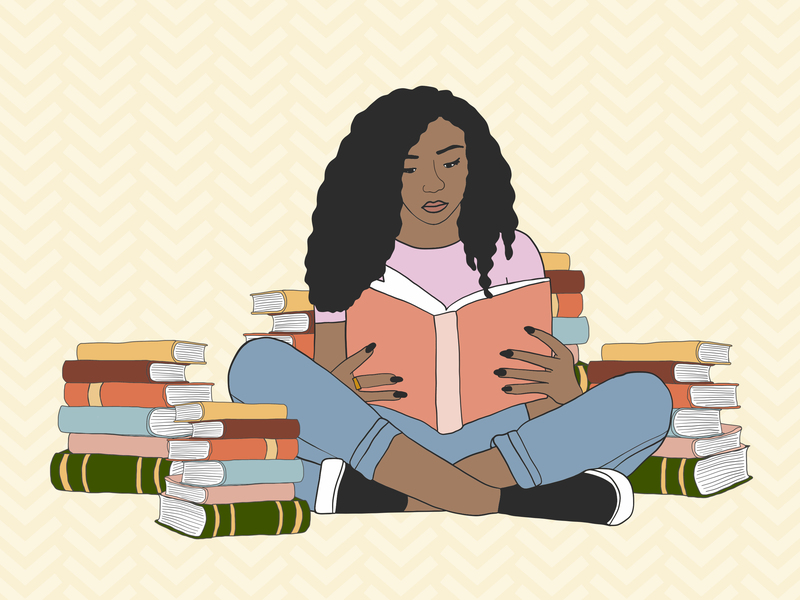 My mother often used books as a way to educate me about blackness: Books became a roadmap for learning about my history and navigating my present. They showed me that I wasn’t alone. My classmates may have thought reading was a sophisticated activity reserved for the socially privileged, but in many communities of color, storytelling is a way to survive and pass on cultural traditions in a society that doesn’t privilege our stories. During slavery, black people created stories and songs that contained clues about escaping to freedom. In Native American culture, storytelling is a way to pass on tribal languages and practice spirituality. Storytelling is an essential part of connecting with our layered identities and navigating a world that often seeks to limit us. I declared English Literature as my major in college and immersed myself in books and essays penned by celebrated black writers like Toni Morrison, Zora Neale Hurston, James Baldwin, and Alice Walker. I realized that my white classmates had only been privy to an academic education that privileged a white narrative over the stories of diverse communities. Author Chimamanda Adichie describes this as the danger of a single story. When we don’t share and educate ourselves about the narratives that exist within communities of color, we risk reducing these communities to a stereotype that doesn’t depict the truth of their experience. As a writer, I’ve carved my own path to freedom by telling stories that highlight underrepresented communities. Sometimes when I’m sitting at my writing desk I feel my imagination winding. I imagine I can soar as if I had wings.